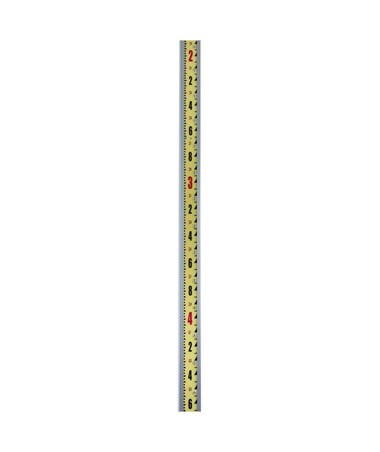 The LaserLine Direct Reading Optical Grade Rod is a functional measuring tool for all surveying and construction professionals. It allows setting and determining of actual elevation with its moveable tape face eliminating the need for computations. 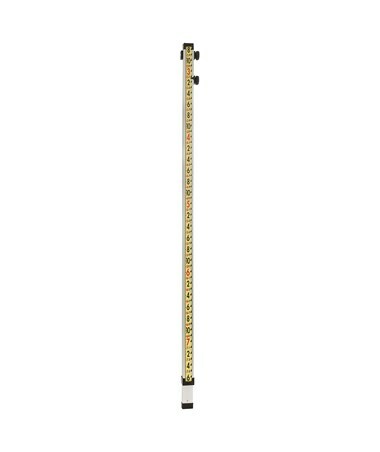 Specifically built for use with optical instruments, it features matte-textured tape face with easily readable, large scales to provide excellent visibility even at a great distance and under bright sunlight. Equipped with tough clear anodized aluminum front and rear rods, this LaserLine optical grade rod is lightweight yet durable to resist rusting, swelling, warping, or splitting in any environment. Its heavy-duty brass tape lock grommets are oversized to minimize tape tearing while the tape lock pin is designed to prevent it from damaging the tape when pushed against it. With its high-strength DuPont nylon parts, it ensures long-lasting performance. The LaserLine Direct Reading Optical Grade Rod offers smooth and hassle-free operation with its solid tape lock and internal brake slide. It is printed with graduations in feet, tenths and hundredths of an inch or feet and inches. 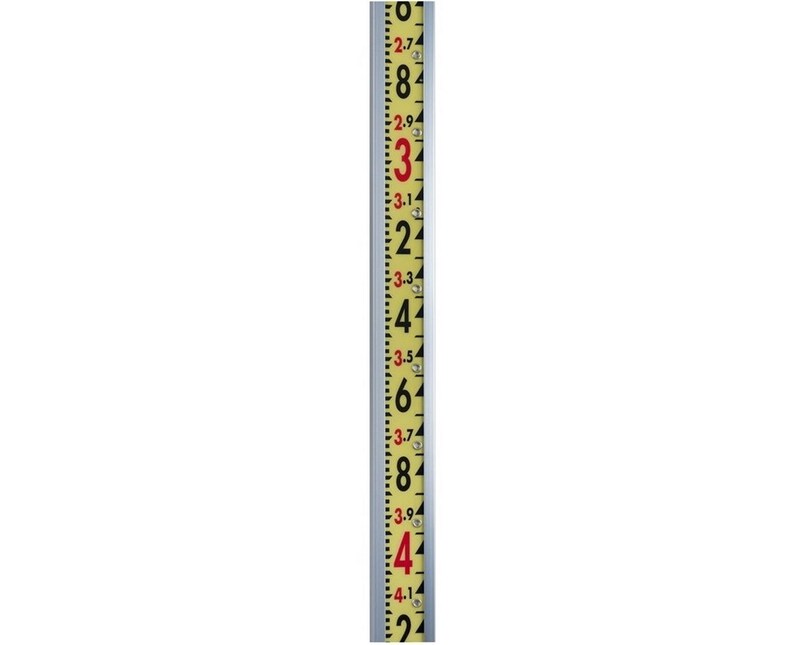 It comes in two different lengths—ten feet and 15 feet—to suit various measuring applications. 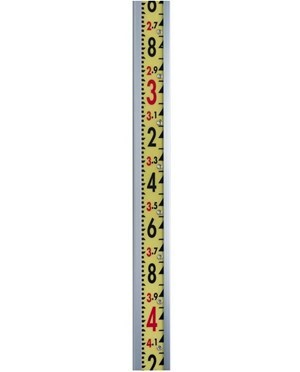 For convenient storage and transport, it can be retracted to five feet and five inches or eight feet. 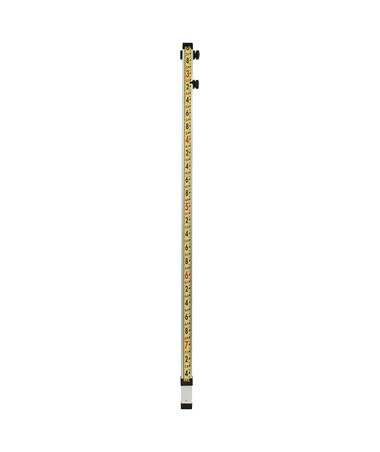 The LaserLine Direct Reading Optical Grade Rod comes in two length and graduation variations to provide solution to most measuring needs. Please select your preference from the menu above.